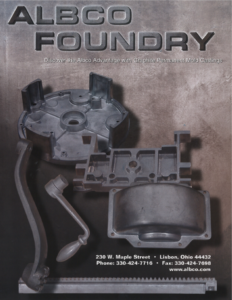 Our customers have come to know and trust Albco Foundry & Machine as a premier provider of non-ferrous sand and graphite permanent mold castings for OEM and aftermarket replacement parts. As part of our continued efforts to improve quality systems and practices, we’re proud to announce Albco Foundry is now ISO 9001:2015 certified. We received our ISO 9001: 2015 Quality Management Systems certification from AMPLUS Global Associates, Inc., a nationally recognized independent registrar. The achievement, which was realized after successfully passing a series of audits, establishes Albco Foundry consistently delivers high quality solutions and is in conformance with the International Quality System Standard. As the foundry industry and improvements in machinery and technology advance, it’s critical as an organization to be proactive and remain relevant through ISO 9001 standards. By becoming ISO 9001:2015 certified, Albco Foundry demonstrates a commitment to provide superior products and services that meet the requirements of customers. The new ISO 9001:2015 certification brings a wide range of added benefits to Albco Foundry, including a greater emphasis on leadership engagement and processes. This provides a continual improvement of casting quality, production efficiency, customer service and on-time delivery while also ensuring the safest and most efficient plant operations. Another noticeable change for Albco Foundry is a new and improved website. 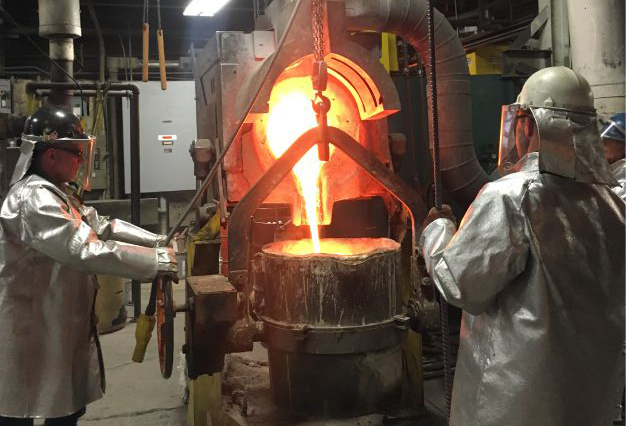 This state-of-the-art site offers visitors quick and easy access to essential information regarding Albco Foundry’s alloys and processes while providing a more comprehensive understanding of the foundry’s value and overall customer benefits. The site provides a better way for customers to be able to communicate with the Albco Foundry team and learn about products and services through an easily navigable site. The new website features a clean design, improved functionality and enhanced content such as case studies, blogs and additional resources focused on the foundry’s mission to provide customers with the best quality, service and value. Customers are able to easily request a quote for potential orders and receive faster response times via email or phone.